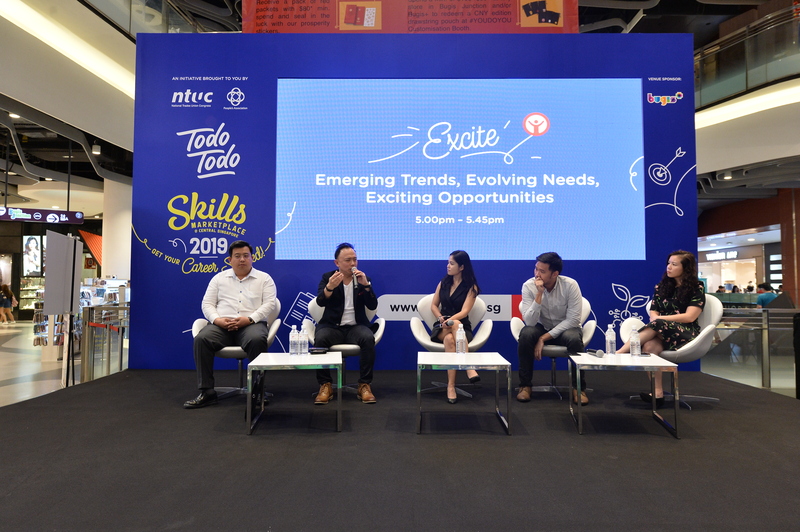 MNC, SME or Govt: Where Should Singapore Fresh Grads Be Looking? 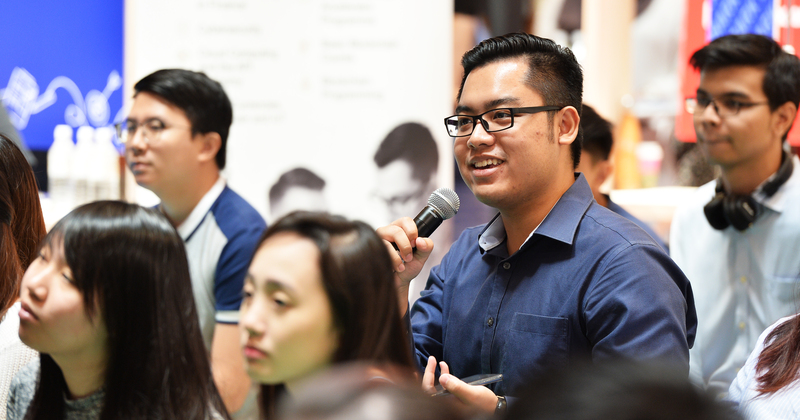 MNC, SME, Or Public Service: What Should Fresh Grads' Dream Jobs Be In? Almost 6 years ago, I, like a few hundred others, found myself in the university’s auditorium commemorating the end of my formal education. It’s difficult to know exactly what to feel in the midst of mingling with coursemates and taking photos for social media, when concurrently, you’re trying to process 16 years of late nights and early mornings, making friends but losing most as the years pass, and the sinking or soaring feeling when receiving your exam results. It’s even more difficult to know exactly what the future has in store, because even with the hope and relief (mostly the latter) that comes with a convocation, there’s also much confusion. Unfortunately, the reality is that the search for the ‘perfect’ career is a journey that never ends, but for a fresh-faced first jobber, getting started can already be a hurdle in itself. To get some tips that job seekers (whether first, second, or third jobbers) can apply to their career journey, I attended the “Snagging your dream job – What does it take?” masterclass at the Todo Todo Skills Marketplace, where Christine Liu, co-founder of cloud-based recruitment platform StaffOnDemand shared some career guidance and insights on what employers are thinking when they put up a job listing online. As someone who has worked in the private, public, and non-profit sectors, she also revealed some interesting tidbits on how work cultures and skill sets differ among each of them. Christine started off with the example of the rise and fall of Detroit, which went from being the richest city in the US in 1960 to filing for bankruptcy in 2013. At its heyday, Detroit was the ‘Silicon Valley’ of the US, thanks to industrialisation and the booming automobile industry. However, the 1970s marked a time when American manufacturers started facing increasing competition from abroad, and needed to move production to cheaper locations to cut cost. This resulted in a sharp rise in unemployment rates, due to workers being made redundant in the face of fewer jobs and machinery taking over certain processes. Bringing it back to the local context, she cited the case study of how in the 1970s, silicon wafer production in Singapore was the booming industry to be in. However, as the years went by, finance and service became the new sectors to aspire towards. Now, the tech industry has taken centre stage, with elements of it being incorporated into every other sector as well. The phrase “things are not forever” is thus especially true in this day and age, where technological disruption is happening at every turn. As such, one needs to contend with the possibility that their current ‘dream job’ might not even exist in a matter of a few years. That’s not to say that one should abandon all hopes of clinching the job they’re dreaming of, though. Christine continued, stating that while innovation is not going to be slowing down any time soon, individuals don’t need to think of themselves as being helpless in the face of changes. While no one can predict the future of jobs with 100% accuracy, there are definitely trends that anyone can pick out by watching the news with a discerning eye, or keeping up to date with industries and fields that interest them. On the topic of industries that interest an individual, Christine also advised that instead of having a stubborn adherence to a particular firm or sector, it’s actually better to be “industry agnostic”. More than just looking at the job scope, she stated that it would be better to find an industry that “best fits [one’s] skillset” and to use their period of employment as a means to learn skills that can be transferable across firms and even industries. Having a university degree used to be something that ‘guarantees’ an individual a job, but that’s simply not the case anymore. To truly stand out from the hundreds of degree holders applying for the exact same position as you are, it’s more prudent to develop and showcase skills that a potential employer requires. 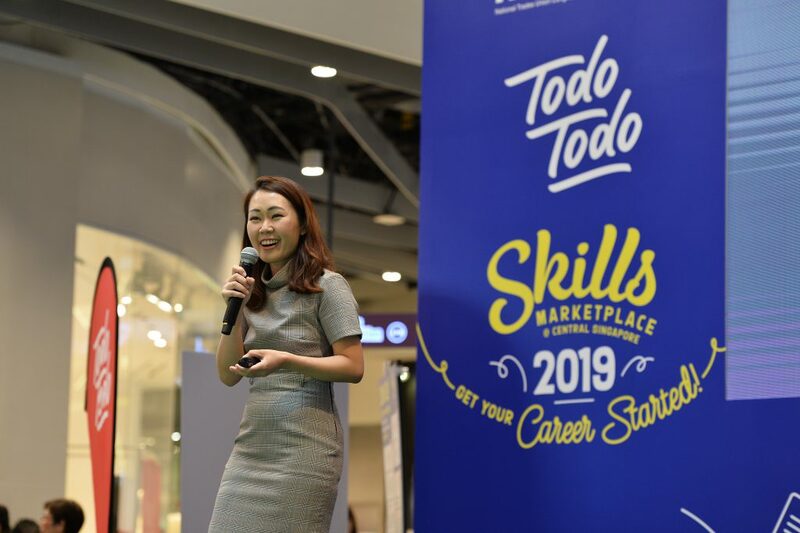 “Think of yourself as an asset,” she urged, suggesting that individuals look to online resources like Coursera and Udemy to pick up and enhance their skillsets at their own time and target. As someone who has experience in the all three, Christine said that their differences mainly lie in the objectives of each organisation. For the private sector, the company’s objectives [which are more profit-driven in nature,] will trickle down to the work culture and in turn, the key measures of performance for their employees. That said, the soft skills acquired from each sector are “surprisingly inter-operable”, and staying in a particular sector simply boils down to personal choice. There’s definitely a sense of prestige that comes with working at a multinational corporation (MNC) or a larger company, but most of it is linked to better benefits and the perceived job stability it offers. However, the rise of successful startups and highly-profitable smaller enterprises in recent years has proved that many times, (company) size really doesn’t matter. Don’t worry about the size of the company, and instead, focus on what you want to get out of the work experience. When embarking on the job search and application process, Christine advised that it’s best to read the job descriptions carefully, and focus on acquiring the skillsets needed for the position. Concurrently, a savvy applicant can also find out more about the company via Glassdoor (where former and current employees can submit anonymous ‘reviews’ about working at the firm), or even contacts who are working in the organisation and industry in question. A caveat here though – just like there isn’t a perfect employee, first-time jobbers shouldn’t view opportunities with rose-tinted lenses. As tempting as mass-sending job applications sounds, Christine shared that quality is infinitely better than quantity. One way to make your application stand out from the rest is to tailor your CV and cover letter to best show off how and why you’re the most relevant candidate for the job. Or better yet, incorporate the research you’ve done on the firm into your cover letter to show that you’re a candidate who is truly interested in the opportunity, and not indiscriminately casting your net far and wide. Bringing in her personal experience from StaffOnDemand, she revealed that the first page of a CV is the “goldmine” that applicants should take more care in crafting, as that’s sometimes the only section that (typically very busy) HR staff look at to shortlist candidates. Perhaps one of the biggest takeaways is that learning doesn’t end at graduation, and the acquisition of applicable and transferable skills should not simply be a means to an end (in this case, employment). In a time when information about practically anything is just a click away, guidance can come from peers, mentors, and even strangers; all one needs to do is take the first step. 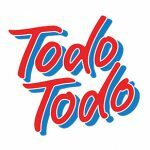 To attend more events like the masterclass by Christine, check out Todo Todo’s event page here, or check out the articles here to read more inspirational career-related pieces. 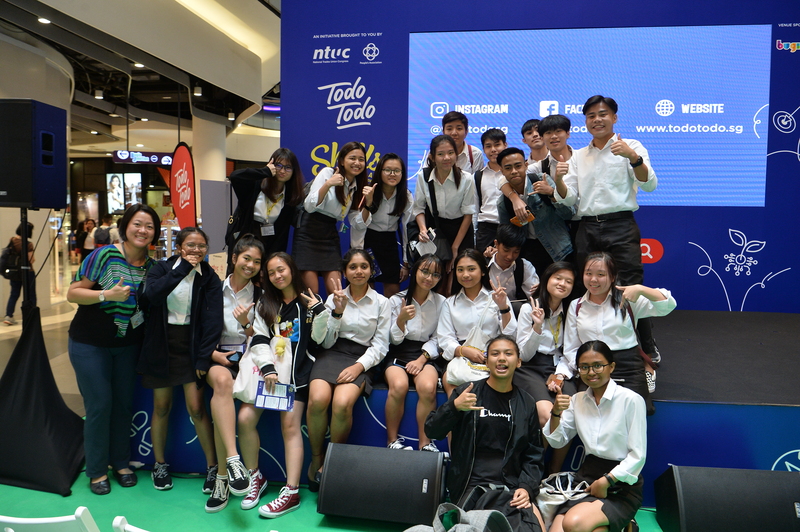 This article was written in collaboration with Todo Todo, a joint initiative by National Trades Union Congress (NTUC) and People’s Association (PA). This S’pore-Based App Lets Us Video Call A Doctor – Did We Manage To Get An MC?